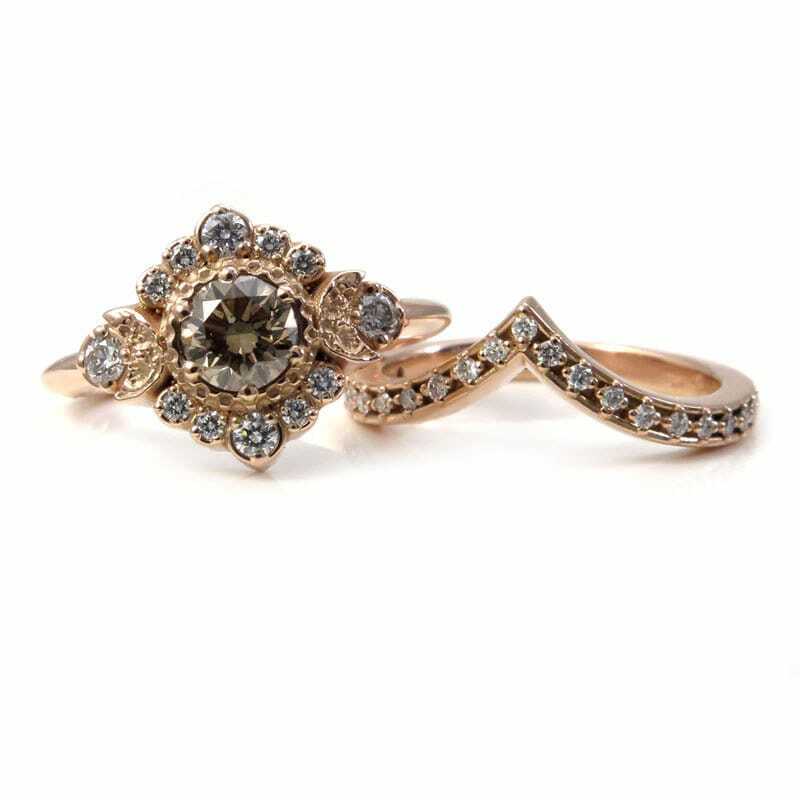 This stunning moon phase engagement ring has a gorgeous natural champagne diamond in the center. 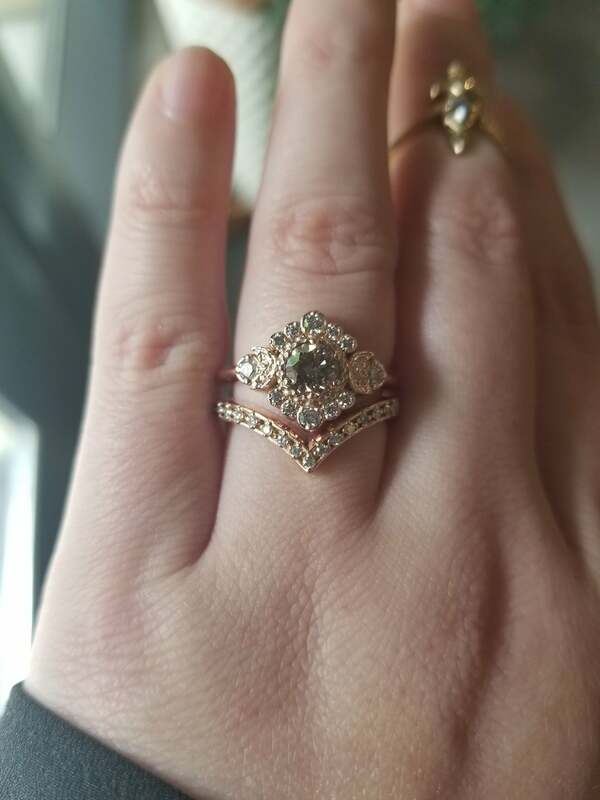 The champagne diamond set in the photos weighs .65 carats and is option #1, it is currently a size 7 and ready to ship, it can be sized up or down within 1 size. 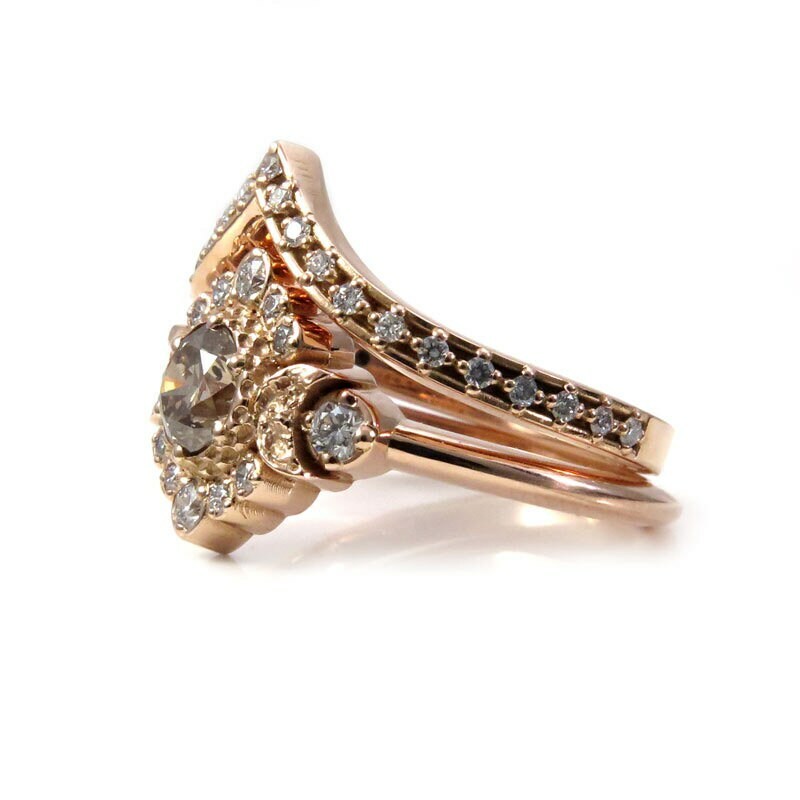 The chevron shaped wedding band is a little over 2mm's wide and is set with 23 diamonds, they have a combined approximate weight of .18 carats. 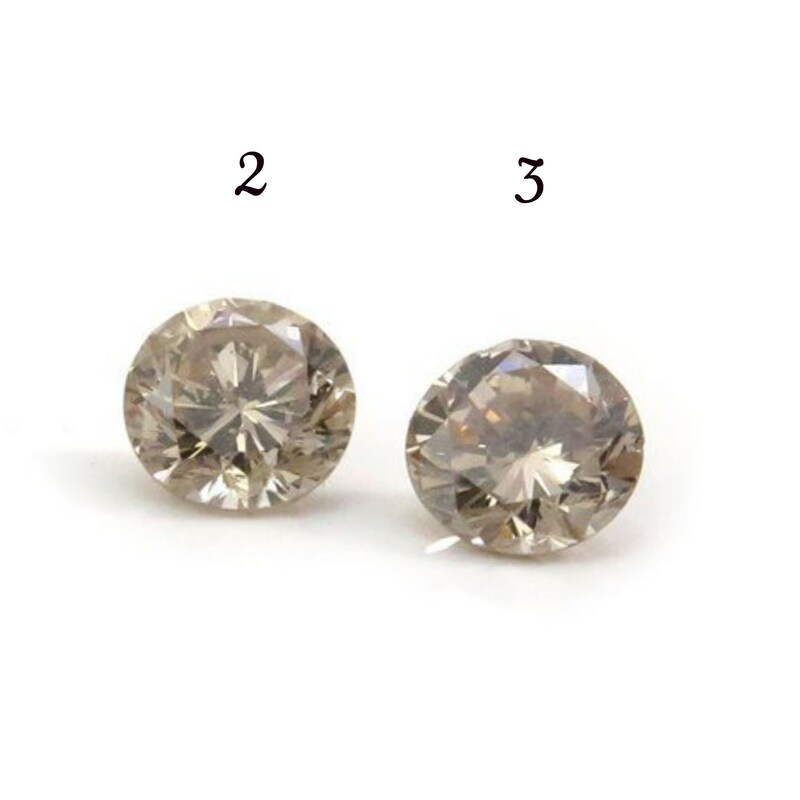 The white diamonds are VS clarity and G-H in color. 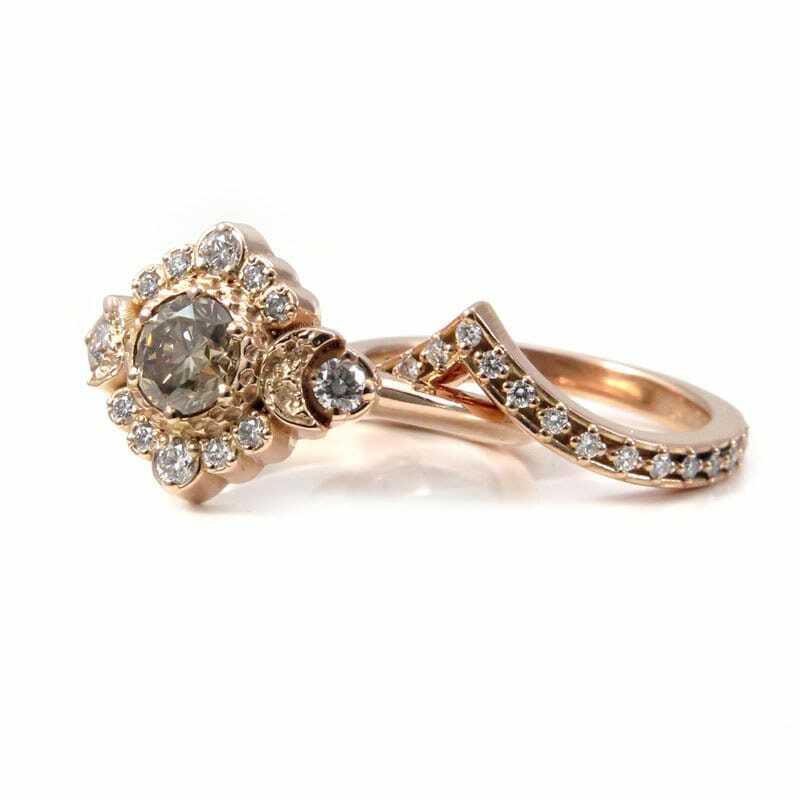 I have 2 more champagne diamonds available, the weights and measurements for those are below. 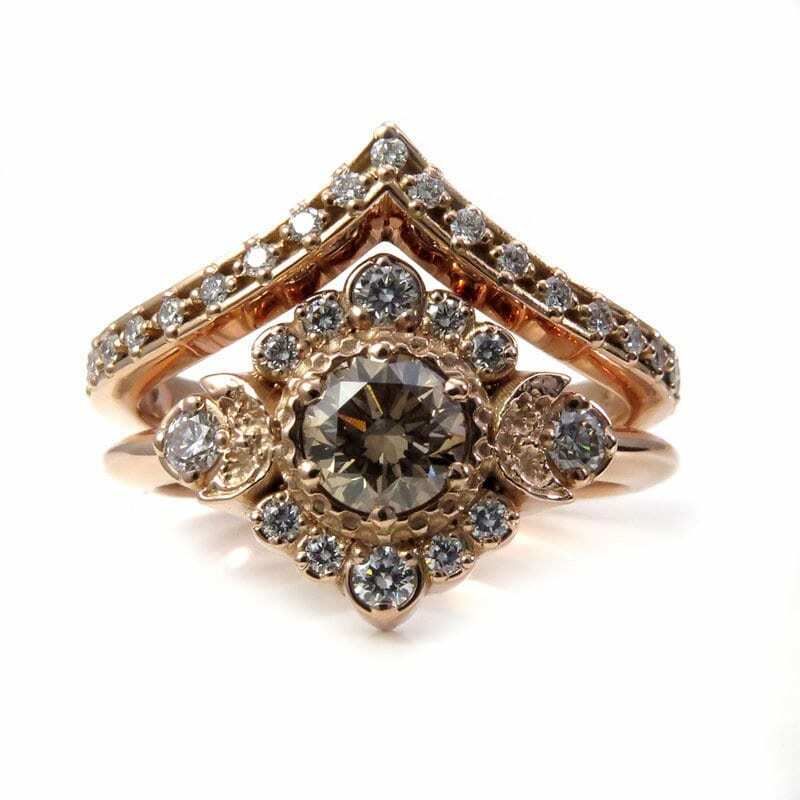 The gems surrounding the center diamond are white diamonds. 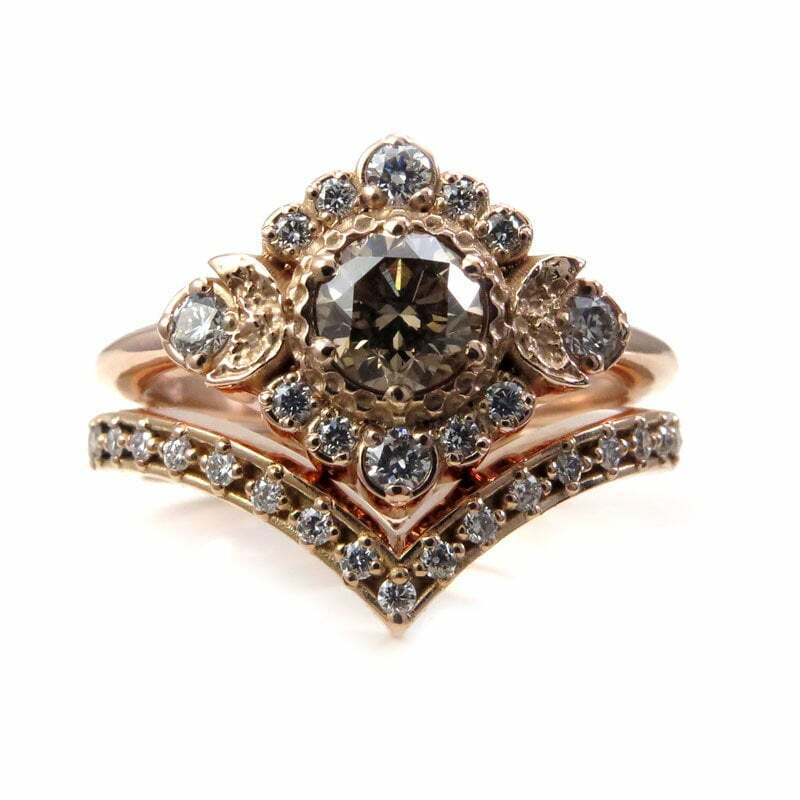 The white diamonds are VS clarity and G-H in color, they have a combined weight of approximately .24 carats. 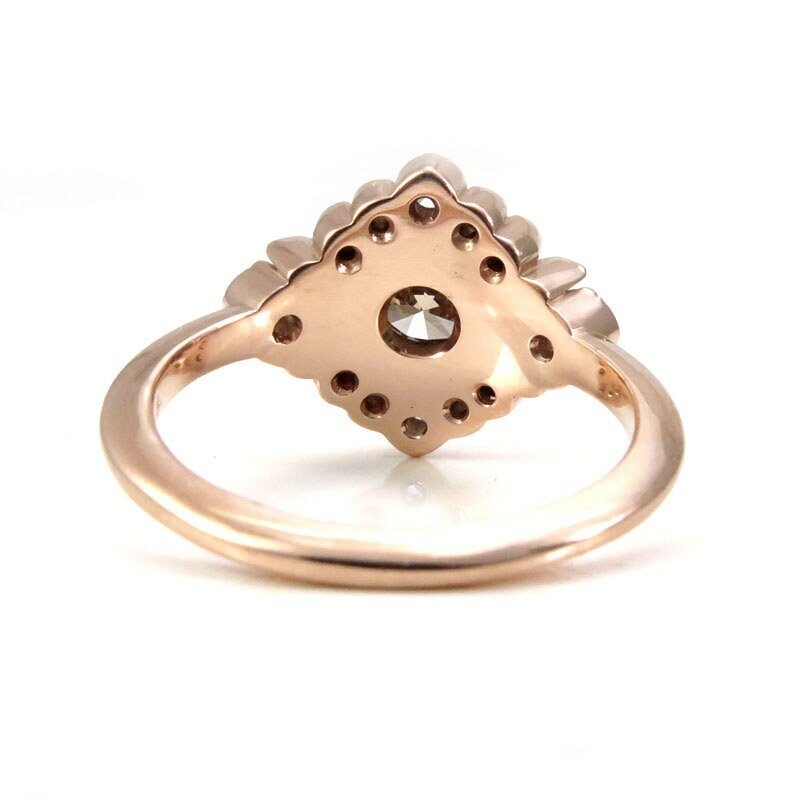 The ring set in the photos is cast in solid 14k rose gold, we do not plate any of our metals. 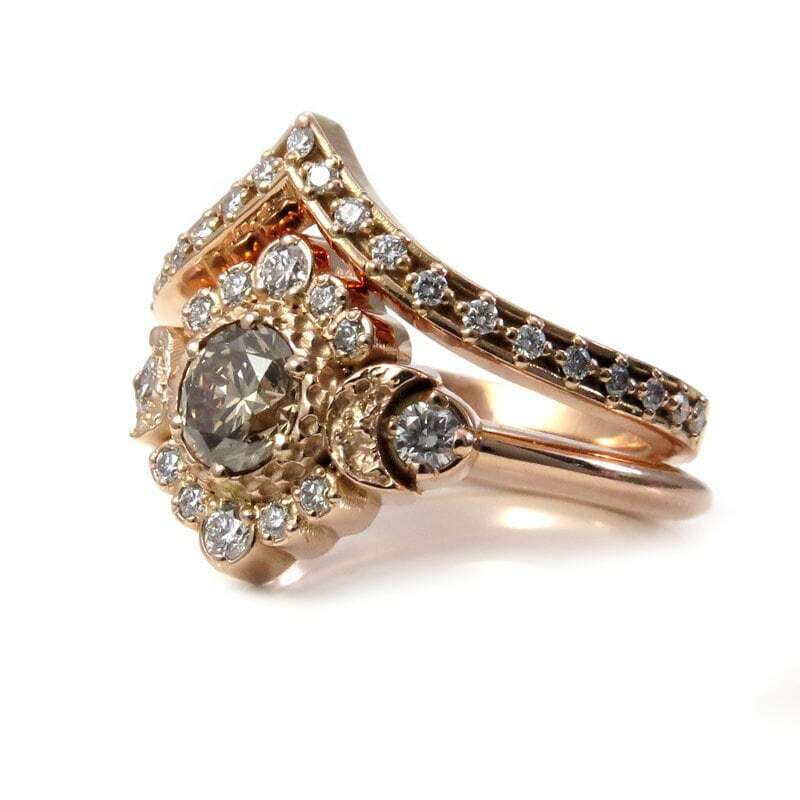 This ring can also be made in 14k yellow gold or 14k Palladium white gold with one of the loose diamonds. 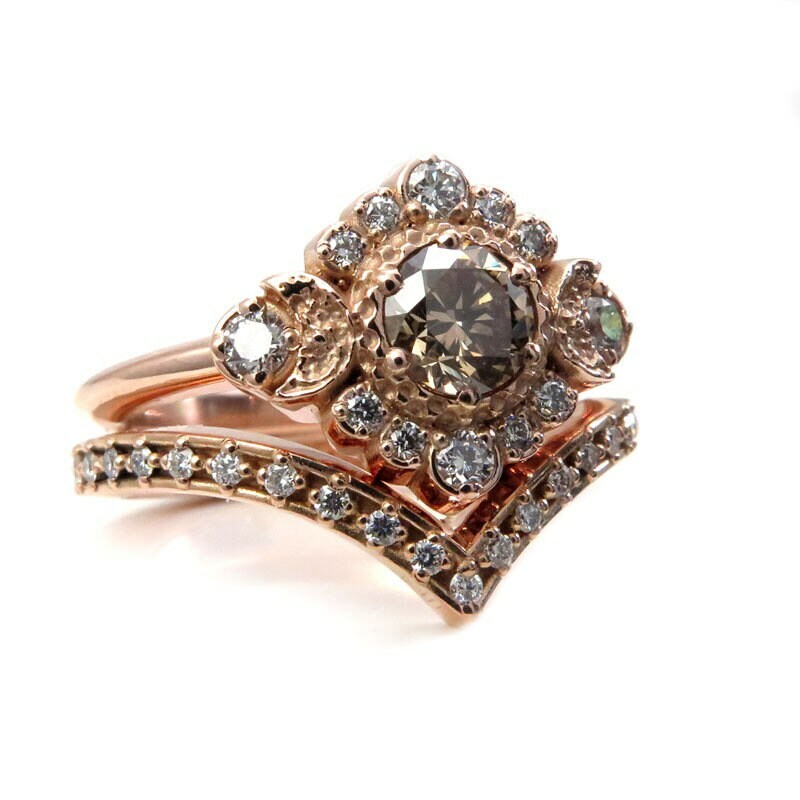 The engagement ring and wedding band can be set with all black diamond sides gems upon request. When stacked the set is a little over 16mm's wide and each band is 2mm's wide.